I am a South African Multisport Coach and competed in the Continental Cup circuit for triathlon. 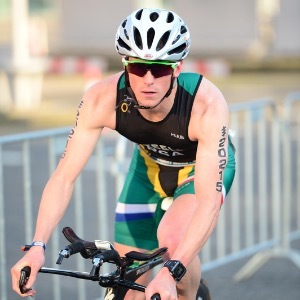 I am a Triathlon South Africa Level 1 Coach and primarily focus on road triathlon, cycling and running - having competed in these as an athlete however I have worked with xterra and mountain biking athletes. I offer online coaching as well as personal coaching (one on one/group) for athletes in the Cape Town area. Having participated at a national level for both track and triathlon for many years, I have taken what I have learnt and developed my believes and understanding of what it takes to be a great athlete. I am the head athletics coach at Bishops Diocesan College and have been working with several athletes and helping them to provincial and national level in their respective sports. I believe that no one athlete is the same and that there is no incorrect method to coaching as each athlete responds differently to the varying approaches therefore my training is completely individualised to the athlete at hand. I am consistently in the process of acquire further certifications and qualifications to better my knowledge and understanding of the sports that I am so passionate about. I love to work with any athletes with a great work ethic and the drive to excel. Success. Coach Nolan Steele has been notified of your message.